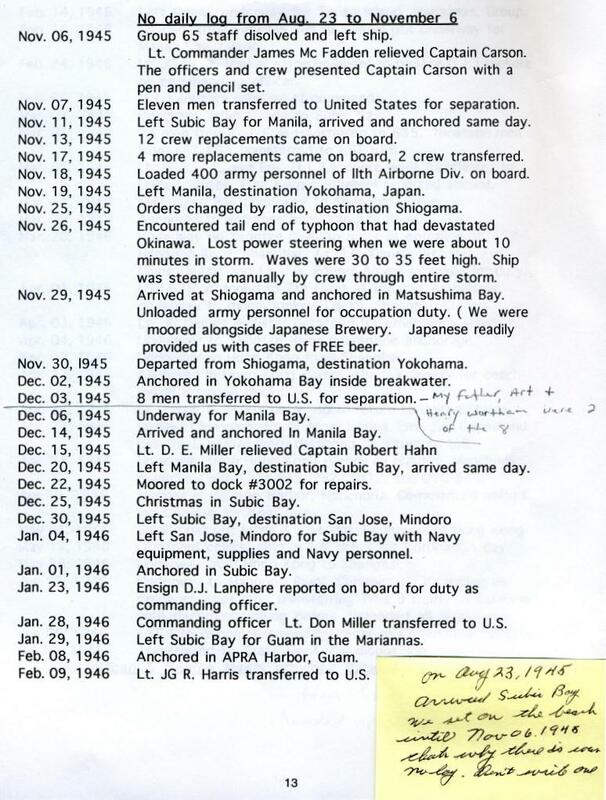 No daily log from Aug. 23 to Novenber 6 Nov. 06, 1945 Group 65 staff disolved and left ship. Lt. Commander James McFadden relieved Captain Carson. Nov. 06, 1945 Group 65 staff disolved and left ship. Lt. Commander James McFadden relieved Captain Carson. The officers and crew presented Captain Carson with a pen and pencil set. Nov. 07, 1945 Eleven men transferred to United States for separation.